Pre-registration is now closed, but we accept walkins at the door. Please visit the ELCE Onsite Registration desk and tell them you are here for the ASTD-Orange County meeting. They will print you a badge and then send you up to our meeting room 210D, where you will check in and pay there. You will have have access to the meeting sessions, our lunch and the expo room. Register here for admission to this special ASTD-OC monthly learning event. In addition, you will receive a complimentary ELCE Expo pass that allows you to attend a variety of conference sessions all day on Monday, August 26 AND Tuesday, August 27 (a value of $150). To have full access to the conference including additional sponsored sessions and workshops and more, register separately with ELCE at http://www.elceshow.com/attend/registration-types or www.Elceshow.com But you will still need to register here or onsite to attend the ASTD-OC meeting. ASTD-OC members qualify for a discount on 2-day or 3-day conference passes of $495. Please contact Denise at 714/527-4785 for the discount code. 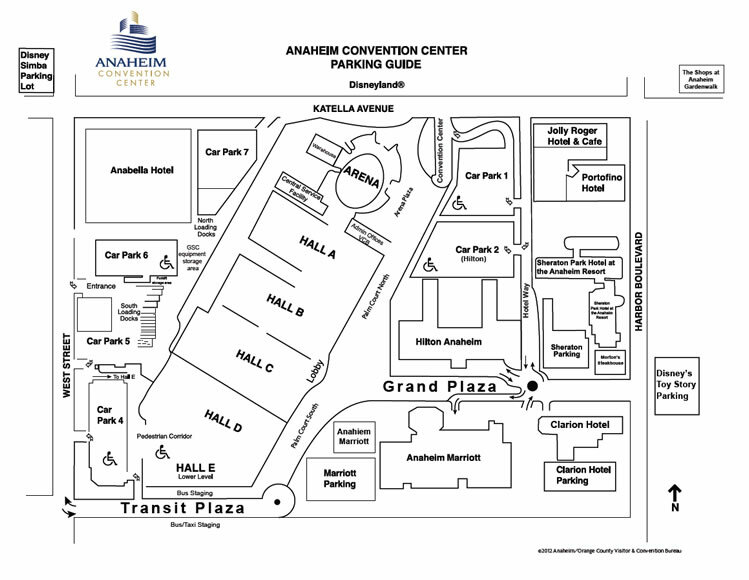 Please leave enough time to arrive at the convention center, park and walk to the meeting room. One of the keys to improving your Emotional Intelligence is developing skills to understand the human face. Unlike language, the face is a universal signal system which reflects the moment-by-moment fluctuations of how a person is feeling. Learning to spot micro and mini expressions will help you improve your Emotional Intelligence, increase your ability to empathize and build rapport with your clients and training audience, as well as manage your own emotions. In this exclusive session, Dr. Paul Ekman will lead an interactive discussion on the emotional skills needed to help maximize competence. See live demonstrations of some interactive training tools that help improve emotional intelligence skills to help maximize competence. Learn about four emotional skills that determine emotional competence. Participants will be able to identify micro expressions to better recognize emotions to be able to adjust communication style, coaching opportunities or training delivery. This session aligns to the ASTD Workplace Learning and Performance Competencies of Coaching, Performance Improvement, Learning Technologies, and Evaluating Learning impact. Maggie Pazian, managing partner of People Intell Institute, is an internationally accredited trainer in the science of nonverbal communication and behavior, emotion perception and deception detection. Maggie has more than ten years of experience in both field and academia. She specializes in emotion recognition, micro-expressions, body language, Facial Action Coding System and the research on cues to deceit; delivering dynamic skill building programs for individuals and organizations alike. The focus of her training is to translate the insights developed from leading-edge research on emotion and to create applications and develop training for those interested in improving their communication, emotional awareness and people reading skills. Mike combines more than 28 years of practical Fortune 500 business leadership experience (in a variety of functional areas including Marketing and Business Development, Client Implementation and Services, Project Management and Operations) with more than 350 hours of accredited coaching, emotional awareness and non-verbal communications training and 10+ years of actual coaching experience at senior levels. These diverse experiences provide Mike with a real-world appreciation of the challenges senior leaders face throughout their careers and within their organizations. Registration deadline for Expo pass is Friday, August 23 at 4:30 p.m. This gives you access to the ASTD-OC Learning Event, and the ELCE Expo, Keynote sessions, Innovation Sessions on the Keynote Stage on Mon and Tues, Aug 26th and 27th, 2013. Badges will be prepared and available for pickup when you arrive at ELCE Registration Desk. Walkins will still be accepted on Tuesday, but pre-registration is highly preferred and recommended to ensure we have an accurate headcount for food. Please come directly to the ASTD-OC registration desk where you will pay the registration fee for the chapter meeting portion. ELCE features six conference tracks for novice to expert: Strategy & Leadership, Best Practices, Technology at Work, Research & Trends, Learning! 100, and Best of Elearning! Expand your conference experience with Master Classes, Innovation Theater and California HR Conference sessions. Gain access to all ELCE and California HR Conference keynotes with your ELCE conference pass: twice the keynotes at the same investment. Visit 200+ exhibitors across HR, talent and learning technology categories, all in one place. This exclusive marketplace helps buyers and sellers meet, view solutions, and query experts. Hundreds of solutions will be on hand, presented and/or demonstrated. From learning and talent systems, content providers, outsourced services, mobile and social solutions, leadership and performance support tools, video, Web conferencing, to virtual learning platforms, it’s all here.